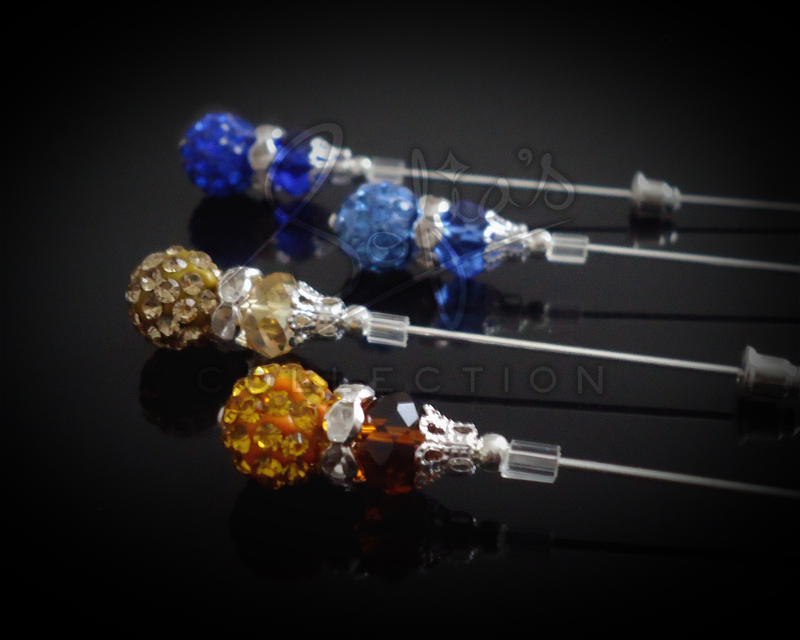 Gorgeous shambala hijab pins. They are composed of shambala beads and a crystal sandwiching a rhinestone. All the embellishments are secured at place with transparent stopper. The embellishments are not permanently fixed in place because we would like you to interact with our pins and have fun! :-). Adjust the pins according to your mood and occasion. ✨Sworski Crystal heart dangle hijab pin in sapphire. Also avaliable in other colours.#vintage #hijabpins #hijab #stickpin #chain #sofiascollection #retro #hijaboutfit #hijablook #chichijab #islamicfashion #muslimah #ellehijab #myhijab #modesty #islamicfashion #muslimah #hijabtrend #hijabgirl #hijabstyle #jewellery #accessories #fashionable #fashiondiaries#hijabista, to order kindly check the link in my bio 👆 if you don't see what you want on my website then either dm or email me at sales@sofias-collection.com. ✨ Bespoke headchain order for mother and toddler 😊 #vintage #hijabpins #hijab #stickpin #chain #sofiascollection #retro #hijaboutfit #hijablook #chichijab #islamicfashion #muslimah #ellehijab #myhijab #modesty #islamicfashion #muslimah #hijabtrend #hijabgirl #hijabstyle #jewellery #accessories #fashionable #fashiondiaries#hijabista, to order kindly check the link in my bio 👆 if you don't see what you want on my website then either dm or email me at sales@sofias-collection.com.